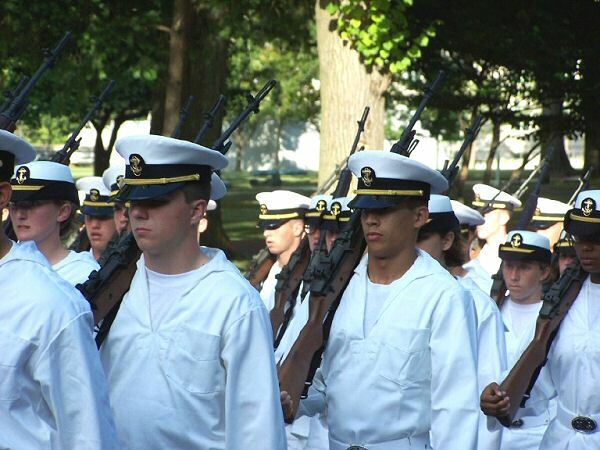 33 Rules (aka Rates) Plebes Must Follow | USNA or Bust! Chop with their “eyes in the boat” and square corners throughout Bancroft Hall with the exception of the administrative spaces, the Midshipman Store, the 7th wing gym, the basement areas, and the post office. Be in the Working Uniform of the Day or better until Study Hour; after which Blue and Gold Jogging Suits are authorized. Regulation PE gear is authorized for going to and from working out and sports practices only. If SIQ, PE gear will be authorized during the day. Come to attention and greet each upperclassman, commissioned officer, and senior enlisted leader with appropriate rank and title. Observe uninterrupted Study Hour on Sunday – Friday from 2000 to 2245 within Bancroft Hall, in Academic Buildings, Mitscher Hall, and Nimitz Library only. They will not attend any event during study hour unless authorized by the Superintendent. They may not carry out food our conduct personal workouts during this time. Attend Company Blue and Gold unless excused by the Company Training Officer. Is there a rule for this? Attend all Saturday Morning Training unless an in-season varsity athlete or a Brigade Support Activity participant on movement order. Be in the rack following Blue and Gold, but no later than 2300. Names of all In Season Varsity Team Captains and all four stripers and above. Be permitted to play video games on Town Liberty only. Other media privileges may be awarded only by the Company Commander. 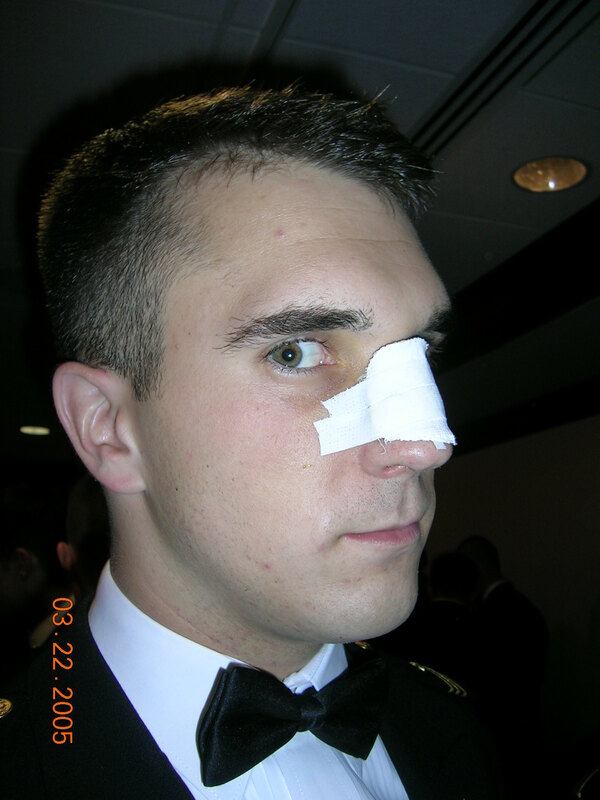 Maintain professional relationships with upperclass Midshipmen. Dating upperclassmen and classmates within one’s company is strictly prohibited. Not use Second Class doors or Second and Third class ladder wells. Maintain Bravo Conditions in rooms at all times. Sound off with “attention on deck” for all O5s and above in passageways, and whenever any upper class or commissioned officer enters a room. Not use the Company Wardroom. Stand in a three-section weekend duty rotation. Not use center doors entering Smoke Hall, Memorial Hall, or the Rotunda. Be required to pass a weekly personnel and room inspection. 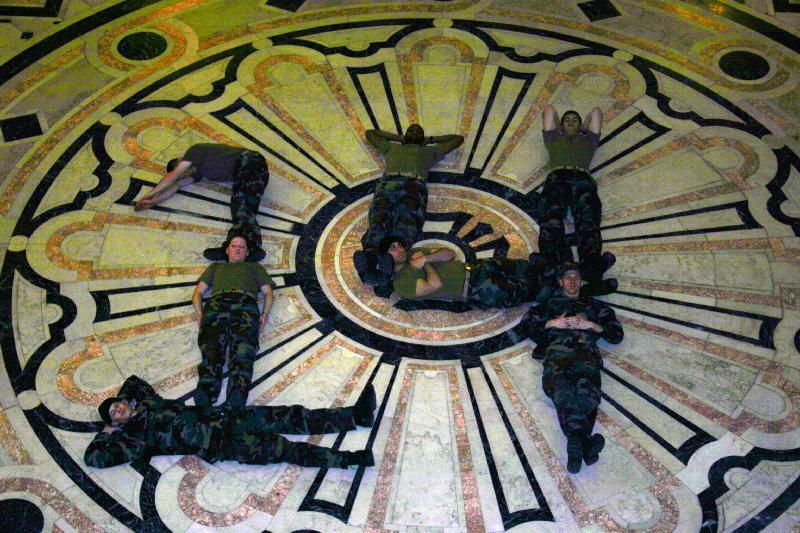 “Plebe” their covers at all times and in all locations on the yard. They are authorized to hold covers as they wish while off the yard on town liberty. Use only the front 3 inches of their chairs, sitting at attention, with the exception of academic buildings and Fourth Class rooms. Only use the center alley. Chop with “eyes in the boat” and sound off while squaring corners. Stand when a commissioned officer joins the mess. Request permission from the Squad Leader and the most senior individual to join the mess if late or from a different squad. Remain seated until excused by their squad leader following the dismissal at the anchor. Not speak unless addressed by an upperclassman. Not sit in Drydock unless on Town Liberty. They may purchase food for carry-out in Drydock, but never during Study Hour. Steerage is off limits to plebes at all times. Not utilize curved walkways on the Yard. Attend two sporting events on the Yard per week. Salute all commissioned officers and ALL upperclassmen on watch wearing an armband. Not operate a motor vehicle, wear civilian clothes, or consume alcohol unless they are 21 years of age and on leave status. Be permitted to run off the yard to conduct personal workouts only on town liberty (Must wear a reflective device before sunrise and after sunset). Liberty for all classes will commence ONLY upon Company Commander Liberty Call.